Alex Reid well remembers making cheese with his mother in the farmhouse when he was a boy. For many years he has been a man with a vision – to bring the great tastes he knew then to a wider audience. Cambus O’May is the result. Alex’s mother, Barbara, never had enough milk to make cheese in a single day so she would blend curd from two separate days to create sufficient curd to make cheese. 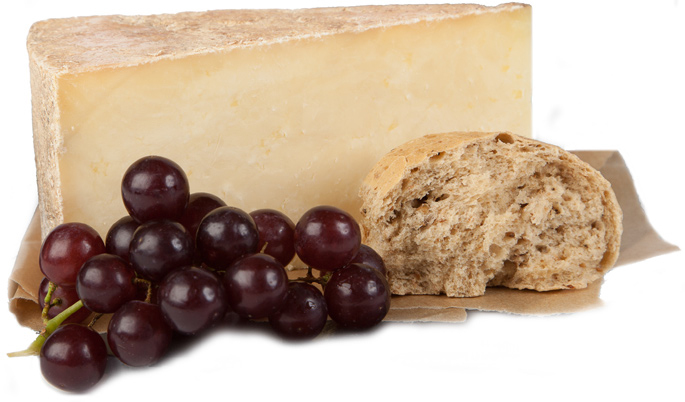 Barbara’s cheese has a lovely marbled effect with strong dairy and mountain flavours of Royal Deeside. The cheese is now produced using locally supplied milk from cattle fed on the lush pastures of Aberdeenshire just as it was in the farmhouse. The Creamery is nestled amongst the Cairngorm Mountains in Royal Deeside where the climate is perfect for cheese-making. Barbara did everything by hand in small batches. Curds were cut, filled into muslin lined moulds and then pressed. The cheese today is still hand-made and is hand-pressed into a muslin cloth bandage to ensure it comes to you exactly as Alex remembers it to be. A Scottish Institution returns, a unique hand-made cheese, recreated as it was. This hand-pressed, two day curd cheese melts in your mouth and has a finish that has you dreaming of days gone by. A lovely marbled effect can be seen when the cheese is cut. It has strong dairy and rustic mountain flavours and a uniquely creamy texture.